This is an experiment in what might be called public news. It's clear to me that there are a lot of people who really want to create content. Just look at the number of people posting personal information at sites such as Facebook, videos at sites such as YouTube, still photos at dozens of Web sites. And, dozens of new blogs appear almost daily in this country. So, with this evidence that many people want a chance to get involved and want to publish, I'd like to see if we can use some of that desire. 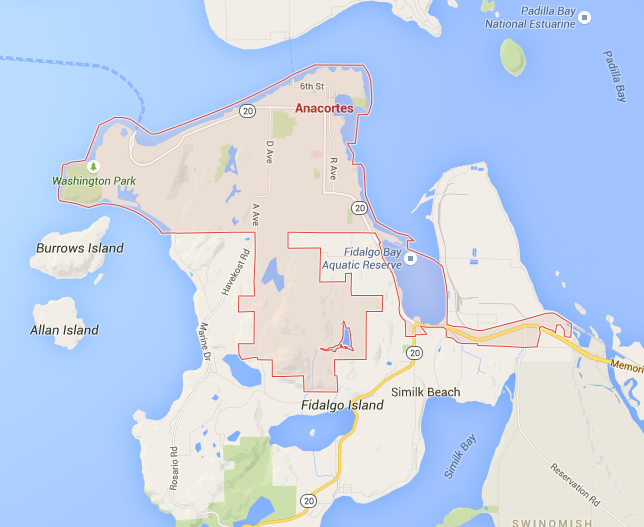 Anacortes has become home to retirees. I believe there's abundant talent available here. I want to use it to drive a citizen storytelling Web site devoted to the people and events in Anacortes. Daily news reporting by citizen volunteers. Including coverage of City Council, Port District, the School Board, school sports activities, local business and community events. No need to wait for a week or two before coverage hits the American. Daily photo coverage of same. So many people have cell phone cameras that could be used to feed pictures to the site. Ability to comment online about daily events. Ability to initiate un-moderated (but monitored) online dialogs about our community. Free classifieds, again without the need to wait for the next edition of the American. Hyper-local sections devoted to individual Anacortes communities could be added as the site gains readers and participants. Art, according to the page “About us” at your web-site, you created this media source in 2007. Can you tell a little about creation? How did you do that? Was it hard? What were the obstacles? It wasn’t difficult, but required a learning curve. I had been building Web sites with HTML for several years, but AnacortesNow.com was the first one using a content management system. I knew I wanted to be able to post news articles that I wrote, articles that contributors might write, with the ability for others to comment. I wanted to have blogs for regular posters, an online forum for discussions, free classified ads that anyone could post to, a community calendar that anyone could post to and business listings that any business could post to. I launched without all those services online, but added them over the first few months. Classified ads were the first for me to remove since no one ended up posting in the first few months. I removed business listing after about three years. While a dozen businesses posted their own profiles…it just wasn’t enough to sustain it. Restaurants, in particular, seemed to reluctant to post menus and it seemed to me that could be a major draw. How many people read Anacortes Now every day? What are their age? Last month I had around 5000 unique visitors with around 15,000 page views. Town population is about 15,000. No idea of their age, but the town’s average population probably skews to over 40. Many people retire here. You wrote that you rely on talents of retired citizens of Anacortes. So, who does really help you to write news now? How many these people and how old are they? I only have a handful of people writing stories. No contracts…if they want to contribute, I will post them. Security issues (the site has been hacked once) prevent me from letting them post without my approval. Does your media have any investors? Did you conclude any contract with them? And how does your media exist at all: thanks to donations or what? The site is completely non-commercial and it amounts to a hobby of mine. What is approximate amount you spent for your media in a month? I don’t spend any money on media. Not even for hosting. 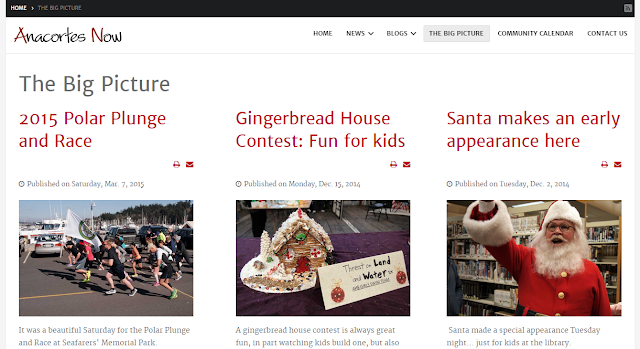 As a Web designer, I host about 40 Web sites and I have simply folded AnacortesNow.com into that group. Have you ever had some problems or misunderstanding with local government/authorities? Hah! Government authorities like to rely on our weekly newspaper, which has an editorial staff of four people. Most local government leaders read the paper, but do not look at AnacortesNow. Did somebody sue to you? What’s your favorite media source? And what ambitions do you have to your media in future? I believe in a better informed public and I tend to use government meetings and government leads as my sources. I try to be an alternative to the local newspaper. A different viewpoint. One reason, some leaders don’t tip me to stories, while they do tip the newspaper. By the way, what do you think about situation in Ukraine and what in your opinion should be done that Ukrainian journalism/local journalism became more transparent and unbiased? Any time local media are threatened it is a concern. I’m not a fan of bullies and I put Russia and Putin into that category. I wish the west could do more. And maybe you have some nice story how your media made somebody happier/healthier/better? Nothing recent, that I can think of. 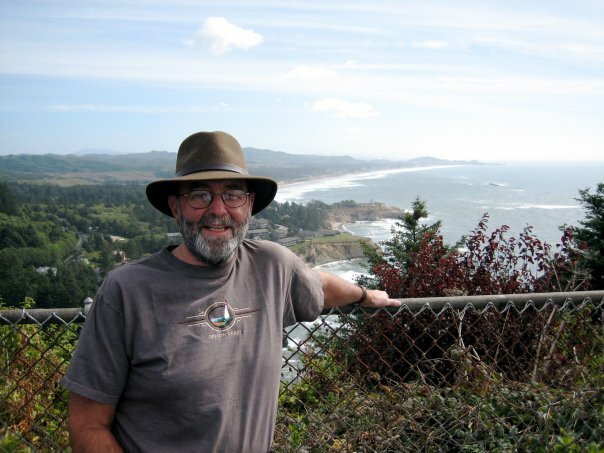 On a personal note…I might add that I’m 70 and moving toward retirement and have been slowing down my stories on AnacortesNow. My background is more than 30 years as a reporter on radio and tv news in Honolulu, Los Angeles and San Diego. Moved here from Los Angeles 15 years ago to slow down.